It Came from the Long Boxes! Working on the Starman blog has made me realize how long it’s been since I took a good look into the long boxes that I’ve got. I spend so much time reading new acquisitions that I forget to revisit the old stuff. An issue is read then filed away; it just sits. This new feature is an attempt to get back into those boxes and look at an issue at a time. Today I randomly pulled an issue from my X-Men box. Of all the books in my collection, this is the box of which I am proudest. I’ve been building this box for the last fifteen years, and it contains the majority of the X-Men from issue 8 – issue 400. At last count, I’m missing about 15 issues in that range. Most of the issues are in pretty good shape. Mostly they run VG – F. Since it’s so integral to my collection, it seemed fitting that this box be part of the inaugural post. So the issue I pulled to look at again is the first battle of the “All New-All Different” X-Men and Magneto, Master of Magnetism. I completely forgot what a big player Eric the Red was supposed to be back in the day. 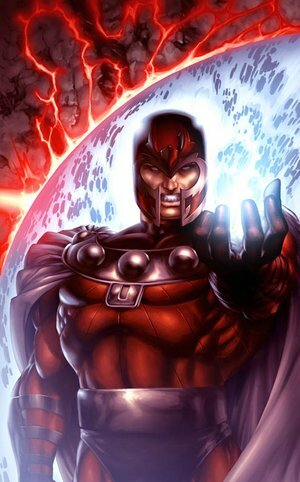 He played a huge part in the introduction of Havok; he brought Magneto back from infancy; he also orchestrated the first encounter of the X-Men and the Shi’ar Empire. Scheming in the shadows, in a lot of ways Eric the Red was the Mr. Sinister of the late 60’s and 70’s. Something cool I noticed for the first time was that Unus the Untouchable is being held on Muir Island among the other “dangerous mutants.” Here’s a guy that had a single issue devoted to him (#8) then he had two cameo appearances later, and Claremont decides to bring him up here. I always wondered what happened to him. He did make an appearance in the ’90’s in the Age of Apocalypse. I think Iceman ended up killing him. Proteus is here too’ referred to here as Mutant X. This is Claremont setting up for an arc almost two years down the line. The focus of the story is about how strong Magneto has become and how unprepared these new X-Men are. Really? On the one hand, you have a guy that controls metal and the electromagnetic spectrum. On the other you have an organic steel man, a guy with a metal skeleton, and a woman who shoots lightening. Is it any wonder they have to retreat at the end? Magneto throws both Colossus and Wolverine around a couple of times, and they still make direct charges at him. 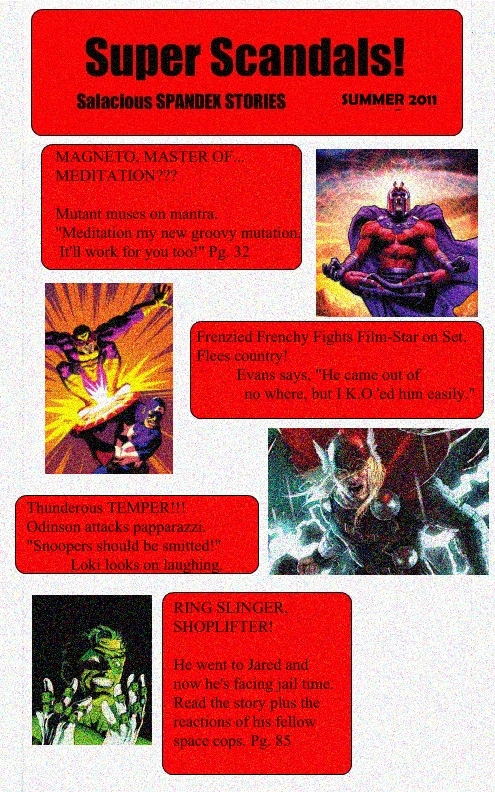 Banshee was the only one that put up a challenge to Magneto. For the longest time, Banshee was in my top three favorite X-Men for this reason and for his costume design(the other two were Cyclops and Iceman… look, I was 13 at the time). What I really like about these issues is the art by Dave Cockrum. When I dream of X-Men, they’re drawn by Cockrum. For me, he’s the definitive X-Men artist. Everything is so clean. Cockrum’s bodies are muscular in a more realistic way than most any other artists’. His faces are expressive and varied. The eyebrows he gave Prof. X are to be envied and are the stuff of legend. He’s just the bee’s knees for me. Byrne’s epic run as artist on the title is very much informed by what Cockrum set as the look of the new X-Men. It isn’t until Byrne leaves the title that you can see a big distinction between the two artists. There’s also a pretty sweet Hostess ad with Spider-Man. Anytime you can combine boxing and creme filled cakes, you’re doing good. There’s not much else to say about this issue except that it reminds me how much I love old X-Men books. They just don’t make ’em like they used to. Some times when I'm feeling down, Beast sits me in front of a mirror, wraps a furry arm around my head and says, "Who's the cool cat with the blue 'fro?" I *could* grow a beard. I just don't want to be a douche like a certain wheelchair bound douche bag...cough Chief cough, cough . You're always talking about dating birds, Daltry. Come back when you've done the deed with a girl with feathers...poser. Know why I gave up the floating yellow chair? Magneto kept calling me Chris Pike. He should be called the master of douchery. The great irony of my life has nothing to do with Magneto, David, or the line of women I've failed to commit to. My family made its fortune in shampoo.